The spherical ball of joy known as BB-8 was one of the more positive additions to the semi-reboot Star Wars: The Force Awakens. So naturally with a “dark” middle chapter in the form of the forthcoming The Last Jedi, we’re being treated to an evil version of our favorite robot sidekick. 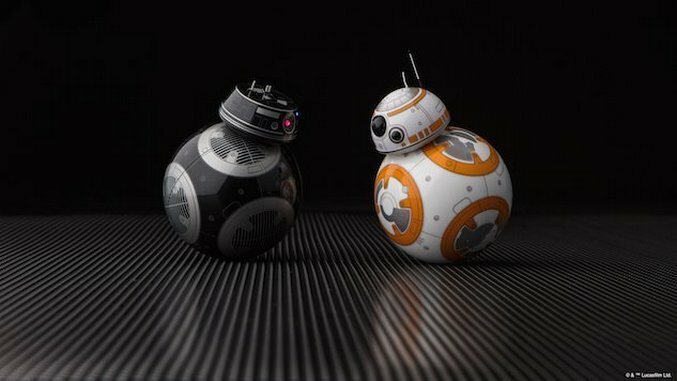 Lucasfilm and robotics company Sphero unveiled BB-9E, a First Order “rolling menace” of a droid not unlike BB-8. This announcement comes just in time for the Force Friday II celebration, Force Friday being a now-traditional Star Wars merchandising event by Disney. This is all of course preparation for the The Last Jedi arriving in theaters this Christmas season. Along with the robotic BB-9E toy, Sphero also announced a toy based on the original and iconic Astromech droid from the movies, R2-D2. Meanwhile, we’ll be sure to let you know once they’ve announced BB-9E’s own stand-alone spinoff movie. The Force Friday II celebration kicks off on Sept. 1. Check out more details on the official Star Wars website here. The BB-9E toy goes for $149.99, with the R2-D2 toy having a price of $179.99. Star Wars: The Last Jedi hits theaters on Dec. 15.